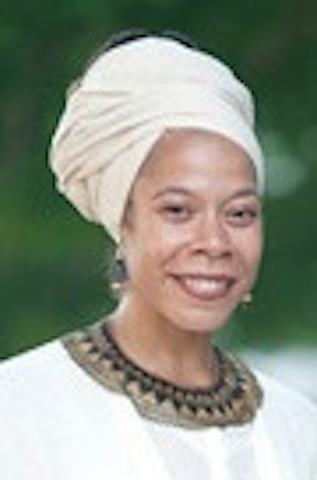 Tracey Hucks, PhD, an expert in Africana religions in the diaspora, will give CSLR's first Restoring Religious Freedom lecture. She will share insights and reflections on the history of religious repression against, and current legal victories won by, practitioners of the Yoruba-Orisa religion in Trinidad. Hucks is the author of Yoruba Traditions and African-American Religious Nationalism. The lecture will be held on Monday, April 11 in Tull Auditorium at Emory Law beginning with a reception at 6:30 p.m. The lecture will begin at 7 p.m. This event is free and open to the public. Free parking is available in the Lowergate South deck behind the law school. Go here to register: https://emorylaw.wufoo.com/forms/2016-restoring-religious-freedom-lecture/. Hucks is James D. Vail III Professor and Chair of the Africana Studies Department at Davidson College. The Restoring Religious Freedom Lecture is part of CSLR's four-year Restoring Religious Freedom project, funded by an anonymous grant. The project is designed to be a fresh educational initiative for law students and legal professionals who need training to work in religious freedom; professionals who encounter difficult religious freedom questions in their daily lives and workplaces; and citizens who want to learn more about religious freedom and its protections.